After staying at home to be a dedicated mom for your kids, getting back into the workforce is a daunting task without a strong resume. 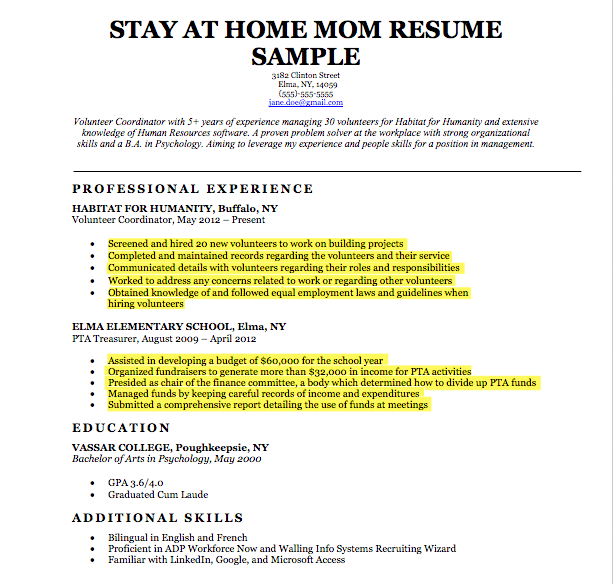 Our stay-at-home mom resume samples and industry writing tips will get you back on your feet in no time! If it’s been awhile and you’d like a reminder on how to craft one, read through our “How to Write a Resume” guide and you’ll be ready to go! Or, if you don’t have time, try out our easy-to-use resume generator and get it done in minutes. Wrong profession? Find the right one in our free resume samples library. Not a fan of the format? 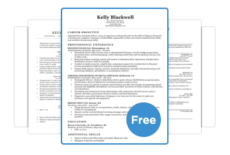 Check out our collection of winning resume templates. Already finished crafting your resume? Peruse our list of stellar cover letters for tips to nab that job. 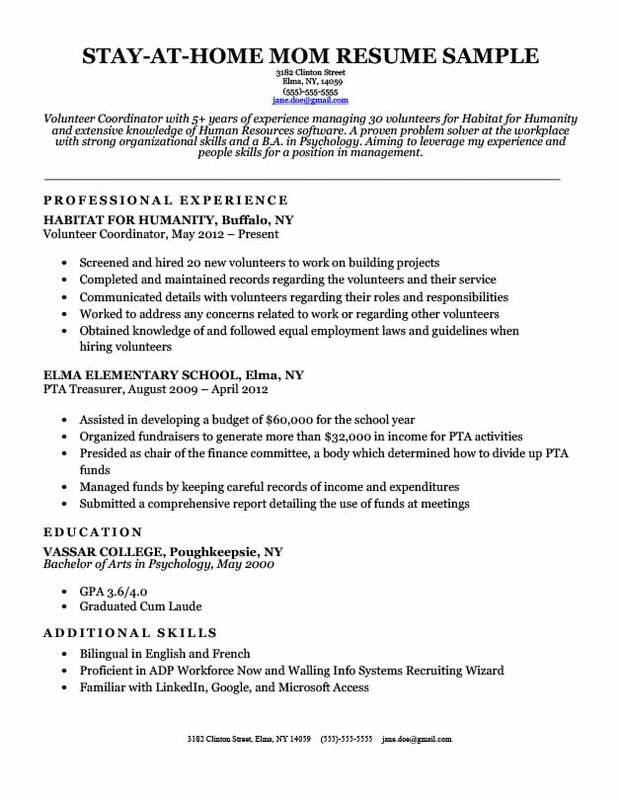 Volunteer Coordinator with 5+ years of experience managing 30 volunteers for Habitat for Humanity and extensive knowledge of Human Resources software. A proven problem solver at the workplace with strong organizational skills and a B.A. in Psychology. Aiming to leverage my experience and people skills for a position in management. Different women approach being a stay-at-home mom in different ways. The same should be said about how to choose the right format. Depending on what you were doing while away from the “traditional” workforce, you may have to choose between the chronological format or the combination format. Some moms keep themselves busy by volunteering or serving their community in other ways. For these moms, look to our sample for stay-at-home moms with continuous work experience. Remember, it’s best to be straightforward about any gaps in your work history, and not to hide anything. Any questions about these gaps can be cleared up in the interview or your cover letter. Depending on what your stay-at-home mom situation is, make sure you use the format that lets the employer easily see the best in you. 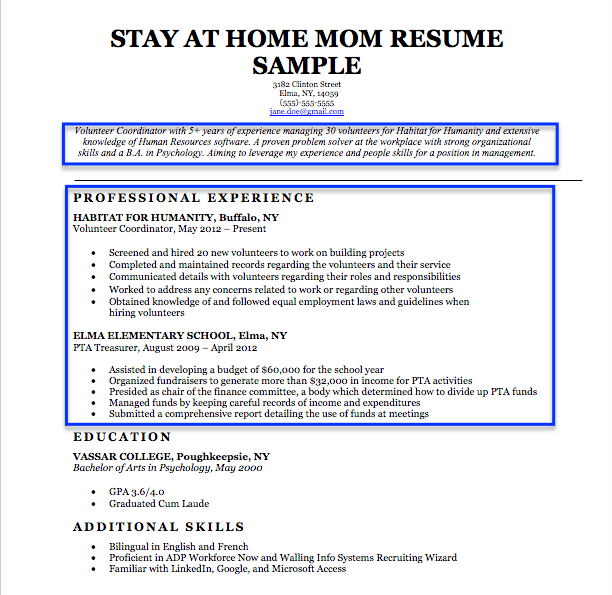 A lot of moms get intimidated by the prospect of job searching because of how they have not been working a “normal” job since becoming a stay-at-home mom. However, they often underestimate what they have accomplished. Despite not being a nine to five job, those activities you took part in required exercising valuable skills that are easily transferrable to a prospective job. Reframing your experiences during your time as a stay-a-home mom is what’s going to make you seem like a viable candidate for the position you are seeking. It is entirely possible that while you have been away from the workforce, the industry you want to work in has changed. Perhaps the industry is incorporating more work with computers or other skills that you have little or no experience with, and now employers are looking for these skills on applicant resumes. If you prefer learning the old school way, take classes at your local community college or at other institutions to boost your skills. If this is the case, don’t panic! There are now alternatives to acquiring these skills than through work experience or going for another degree: online courses or certificate programs. However, if you prefer learning the old school way, take classes at your local community college or at other institutions. You could then add the fact that you took these classes and the skills you learned from them to your resume. Once you have gained these new skills, make sure you know how to phrase them in a way that showcases how these skills would be useful for the job your are applying for. Still a bit fuzzy on how to incorporate this information into your resume? Check out our ultimate skills section writing guide and hammer out your soft and hard skills. Are you ready to put together your resume yet? 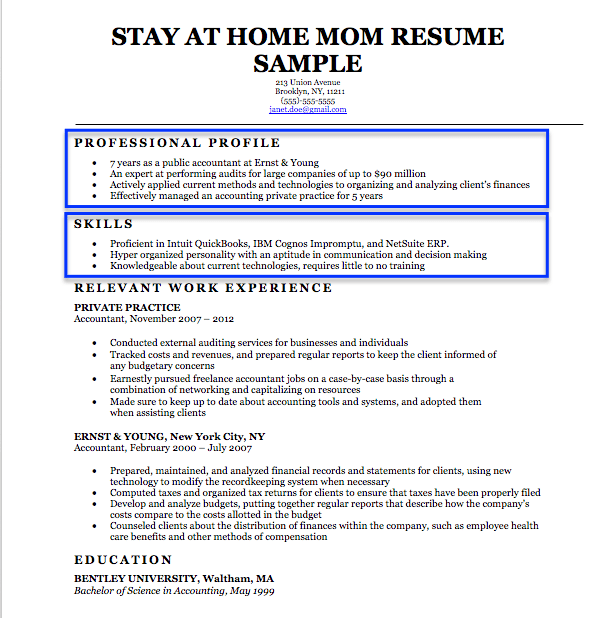 You can save some time formatting by using our free resume template packs. If you’re in a rush and want to create one quickly, we have a resume generator that can build yours in mere minutes.